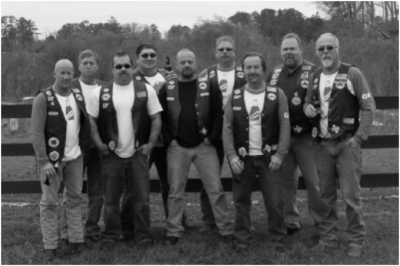 Boozefighter Motorcycle Club Chapter 35 received our Charter October 23, 2010 from "Big John" Rogers. The Chapter is located in Gloucester County, VA in a section of the county along the York River and Chesapeake Bay known as "Guinea". The local watermen, known as "Guineamen" are proud, tough, and independent people. Many of the families have worked the water for generations and many still fish today like their fathers, and grandfathers before them. Much of it is done still with the same handcrafted nets, crab pots and boats, known as a Dead Rise that have been used for many years. Like the Guineamen, Boozefighters Chapter 35 also has an interesting history. 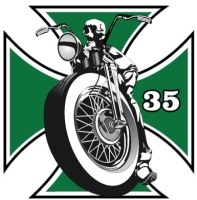 In the 1980’s Chapter 35 was started in Southern California by Pappy Doyle and a couple other guys one of which was Hippy Joe Shelton. 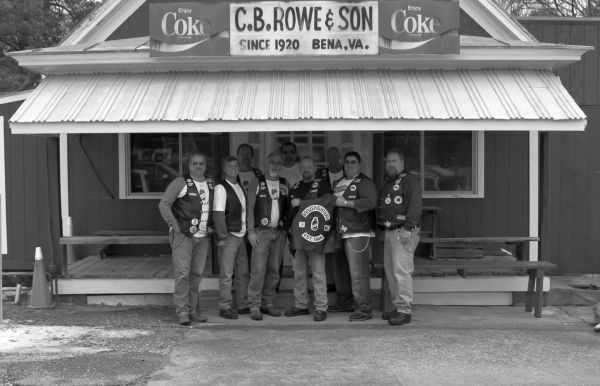 The Chapter kind of did their own thing for a few years up until Pappy died in the late 90's. When Pappy died the only known remaining member was Hippy Joe Shelton. Hippy Joe was in jail when Pappy died and still is to this day. ​​ From the late nineties until about 2007 Chapter 35 was listed with National as the “Prison” Chapter. After some time National decided a Prison Chapter was not an image the Boozefighters needed to portray. The old Prison Chapter had never paid any dues, for obvious reasons, nor had any contact been made with any California Chapter or with National. When we petitioned for a new chapter we were fortunate enough to be able to ascertain the number 35. Like the Guineamen of our area, we are a group of guys that are tough, proud and hardworking for both our families and our Boozefighter chapter and club.